Updated Saturday February 22, 2014 by Greenwich Village Little League. 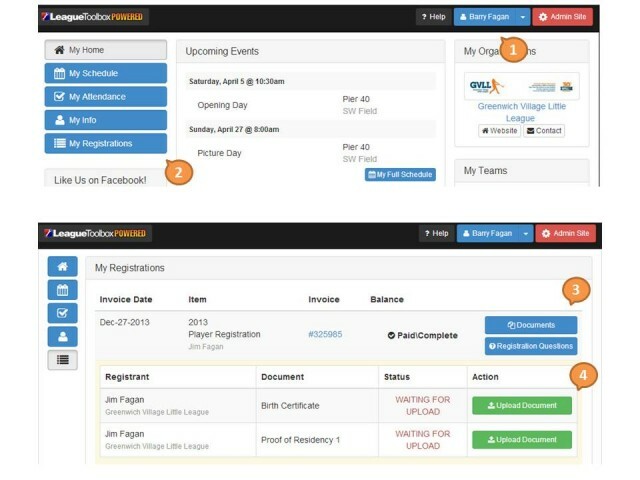 First year player with GVLL must upload a copy of their birth certificate and proof of residency. It's easy to do with our new website. To prepare, you will need to have a scanned copy of your documentation on your own computer. If you don't have access to a scanner, you can simply take a picture of your documents with a cell phone and email them to yourself. Once you have your documents available electronically, all you need to do are the following 4 steps. 1) Logon to the GVLL website with the parent id that you created during the registration process. This should bring you to your Profile Page.